Bed and breakfast in Sunderland. Sunderland was traditionally a major centre of the shipbuilding and coal mining industries, although the last shipyard closed in 1988; ships were built on the Wear from at least 1346 onwards and by the mid 18th century Sunderland was probably the chief ship-building town in the country. The site of the last coal mine, closed in 1994, is now occupied by the Stadium of Light, the home ground of football club Sunderland A.F.C. Also see Sunderland & Sunderland attractions. If you are in the right town but cannot find the accommodation you want on this page, you might consider Sunderland hotels. The Tavistock Roker offers 57 bedrooms, many with breath taking sea views of the North Sea and Roker Pier. Each bedroom is en-suite with tea & coffee making facilities, satelitte television, trouser press and telephone. The Hotel boasts Italian & Thai restaurants serving fine food with a fantastic atmosphere which are renowned in the local area. For a more traditional bar meal you can visit the R-Bar serving food all day and with its raised decking area you can enjoy a relaxing afternoon by the sea. These one and 2-bedroom serviced apartments within a superb, converted Victorian building are located in the heart of Sunderland city centre, opposite Sunderland Museum and Winter Gardens. The building boasts a fantastic oak staircase leading to a galleried landing with a beautiful stained glass dome above. All apartments are individually designed and have everything expected of a 4-star hotel room with the added benefit of a fully-equipped kitchen with washer/dryer and dishwasher, a full range of kitchenware, as well as cleaning and a linen change. Spacious living areas have sumptuous leather sofas and TVs with digital TV and DVD players. There is no minimum or maximum stay. Overlooking Whitburn Sands and 2 miles (3.2 km) from Sunderland city centre, this hotel offers sea-front views, spacious accommodation and an indoor swimming pool. Marriott Sunderland provides limited free parking for registered guests, as well as a fitness centre, a bar and an on-site restaurant that is open for breakfast, lunch and dinner. There is flexible meeting space and event facilities, as well as on-site catering. An original Orient Express railway carriage is featured at this family-run seaside hotel, 2 miles from Sunderland city centre and about 10 miles from Durham and Newcastle Upon Tyne. The Sunderland Leisure and Conference Centre is next door to The Pullman Lodge and 2 popular sandy beaches are very close by. Enjoy a walk along the broad promenade or travel a short distance to the Metro Centre or some of Northumbria's great heritage sites. There are local bars and restaurants within easy walking distance. Optional breakfast is served in the restored Orient Express railway carriages, with views of the north-east coast. The conference and banqueting suite was fully refurbished in 2009. Ideally situated near the seafront, The Queen Vic Hotel is close to the city centre, 1 mile away from Sunderland Train Station and a 1 minute walk to the beach. Many of the rooms have sea views and some overlook the picturesque marina. All comfortable en suite rooms have a contemporary plasma-screen TV and Wi-Fi internet access is available. The Queen Vic Hotel boasts a popular restaurant, specialising in British food and a lively bar, with regular entertainment. 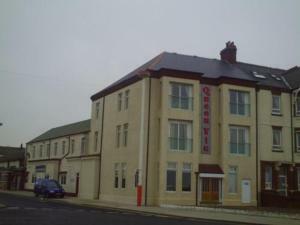 An ideal base to explore the surrounding area, the hotel is close to Sunderland Football Club and The Stadium of Light. Overlooking the North Sea, The Queen Vic Hotel is near the Sunderland Yacht Club, marina and St. Peter's Church, a World Heritage Site. This traditional-style guest accommodation overlooks the North Sea and Roker Pier, with free parking and access to all the facilities at the Best Western Roker Hotel. As a guest at Roker Lodge you can use the Tavistock Thai China and Tavistock Italia restaurants. There is a bar open till late, as well as the R Bar, where the TV shows sports channels and there is a good range of value bar food and drinks. All rooms have tea/coffee, TV, full room service and free Wi-Fi. 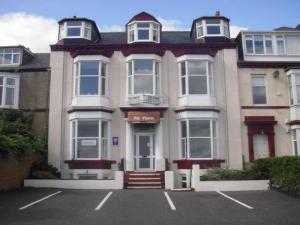 On the seafront at Roker, Chaise Guest House enjoys an ideal location with perfect sea views. Guests will appreciate the friendly atmosphere and helpful service in this family-run establishment. This Victorian guest house offers excellent value for money. Breakfast is included and free parking is available. A variety of local restaurants are nearby and Sunderland city centre is easily accessible. Chaise Guest House is situated 30 minutes away from one of Europe's largest shopping malls, the MetroCentre. Crowtree Leisure Centre and the Empire Theatre are within easy reach. On the outskirts of the town. Sunderland North West Premier Inn is just off the A1231, for easy travelling. Next door is an Old Orleans restaurant and bar that serves food from the American Deep South. The bedrooms are a comfortable base for the night, and feature great beds. Some rooms at Premier Inn can take 2 adults and up to 2 children (under 16 years). The 2 children also get a free full breakfast when accompanied by an adult eating a full breakfast. The full all-you-can-eat breakfast has the expected cooked items, including vegetarian sausages, as well as a wide continental selection.